Sophomore Mollie Dittmar gets ready to receive a serve. 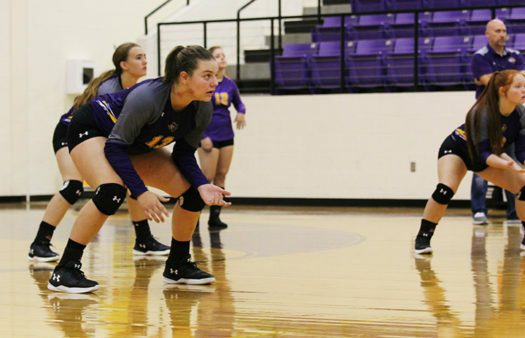 Since the beginning of August, the Lady Bison volleyball teams have been hard at work preparing for the upcoming scrimmages, games, and tournaments. So far, the Lady Bison have competed in more than ten games. The Lady Bison practice for more than two hours a day in order to prepare for their upcoming district games. This doesn’t include the extra time that some of them put in on their own. So far, the Lady Bison hold a record of 5-6. With district starting this week, the Lady Bison hope to not only win games, but also to become better teammates and players.